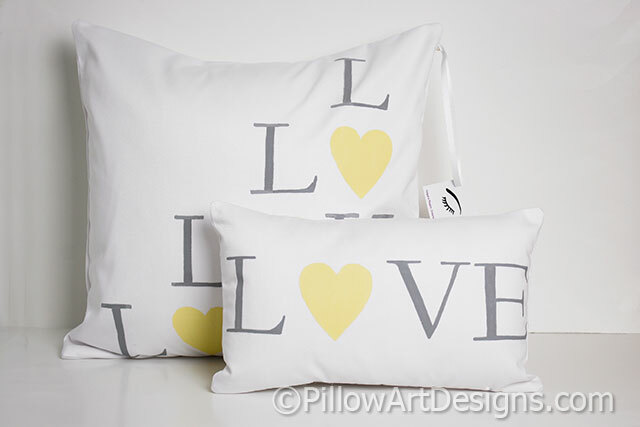 Love pillow set includes one Love pillow cover made to fit 16 X 16 inch pillow insert (not included) and one Love mini pillow size 12 X 8 inches (stuffed with hi loft polyester fiberfil, no need for an insert). 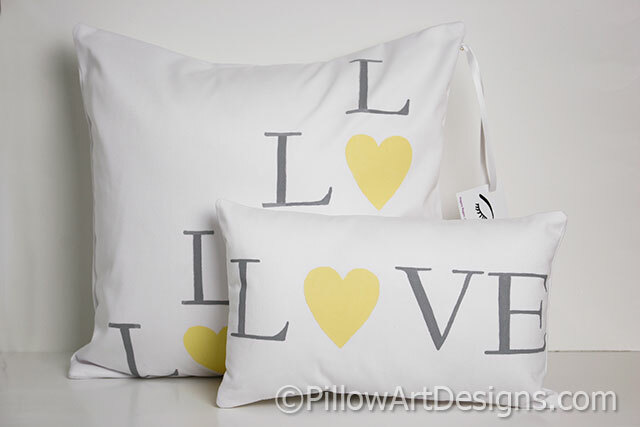 Love word design painted in grey non toxic fabric paint, hearts painted in yellow non toxic fabric paint. Outer fabric is white cotton twill, both pieces fully lined in white cotton polyester. Like this design, but need a different size or colour? Contact me here, I can make a set just for you!